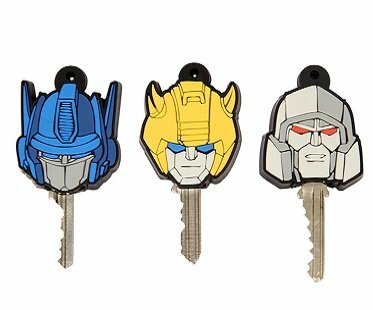 If you can't tell your house key from your office key, then perhaps it's time you got yourself some of these Transformers key covers! Featuring 80's Style of Optimus Prime, Bumblebee and Megatron, these caps will be sure to add some color to your dull key ring! Fun and functional.